BANGKOK, Aug 28, 2013 (AFP) – A European Union lawmaker pressed Laos Wednesday to intensify an investigation into the disappearance of a prominent activist, after raising the case during a trip to the secretive communist state. Sombath Somphone, 62, was last seen in December 2012 being led away by police in Vientiane after his car stopped at a checkpoint. 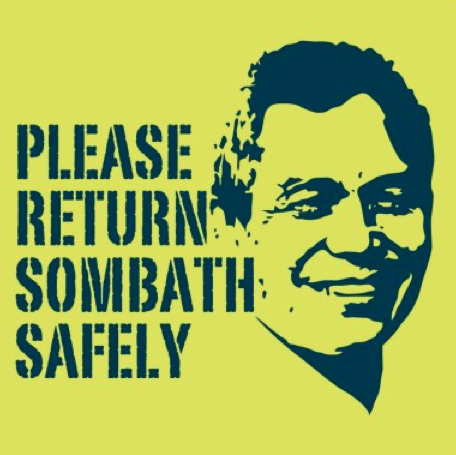 The US and EU have joined rights groups in calling for Sombath’s safe return, and an official European Parliament delegation is expected to raise his disappearance when it travels to Laos in October. “The Laos regime is still in a state of denial… what the regime (is doing) to investigate is not sufficient,” Danish MEP Soren Bo Sondergaard told reporters in Bangkok, after returning Tuesday from Laos. 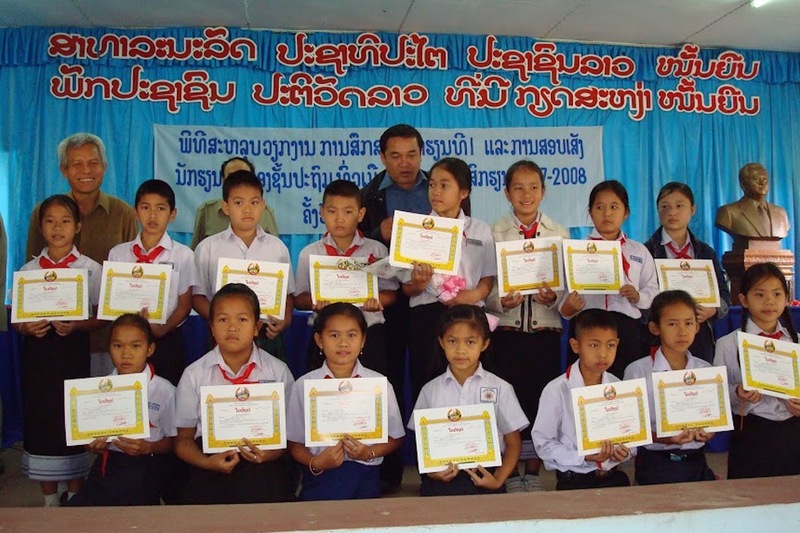 Laos has come under renewed pressure over the disappearance late last year of the internationally-recognised development worker and teacher, Sombath Somphone. The Lao government is investigating the incident but has previously claimed it knows nothing about the social activists’ whereabouts. It’s believed Mr Sombath was abducted near a police post on a busy road in Vientiane on December 15, 2012. Human Rights Watch has previously accused the government of a “cover up”, saying authorities had failed to credibly explain his disappearance. The delegation, led by Soren Sondergaard, a member of the European parliament, has just completed a visit to Laos to meet with senior government officials there to discuss the matter. 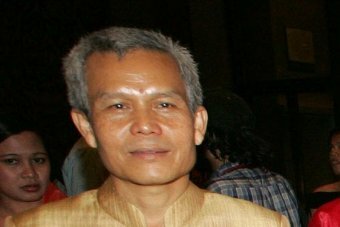 Sombath Somphone, a widely-respected leader in education and sustainable development in the Lao PDR, and recipient of the 2005 Ramon Magsaysay Award for Community Leadership, disappeared on the evening of December 15th, 2012 in the Lao capital Vientiane (see https://www.sombath.org ). CCTV footage which became available 2 days later showed Sombath being stopped by traffic police, his car driven away by an unknown person, and then Sombath being taken in a pickup by 2-3 other unidentified persons. The Lao Government has claimed no knowledge about the abduction or his whereabouts and made public assurances that they are investigating the matter. However, more than eight months after his disappearance, no meaningful information has been made available by Lao authorities to Sombath’s family and friends about the progress and results of the investigation. The full letter, sent to the Lao President, Prime Minister, Minister of Foreign Affairs, and President of the National Assembly can be seen here. Will Laos bend over EU pressure on Sombath? It has been more than three months since the activist and sustainable development campaigner Sombath Somphone was last seen on a busy road in Vientiane. The now infamous CCTV footage capturing his final moments offer the clearest indication that his disappearance was a carefully planned abduction. His jeep was stopped by police on December 15 before he was driven away in a separate vehicle and never seen again. The government and police have continued to deny any role in his disappearance and an ongoing investigation has failed to yield any answers as to where Sombath is or why he was snatched in the first place. Along with local and international NGOs and other supporters, his wife, Shui-Meng Ng, has built an international campaign that has kept up the pressure on the Lao government. International delegations and diplomats continue to express concern about Sombath’s whereabouts, most recently an EU delegation, but to date Lao officials have remained staunchly on message and Shui-Meng says she’s heard the same answers time and time again. “Members of diplomatic corp has met high level government leaders and ministers, but answers are the same: ‘We are also very concerned and doing all we can, the police have been doing an investigation, but we have not found Sombath – we are sad that this happened, etc..’” she says. Next week will mark 100 days since his disappearance and the EU has vowed to crank up the pressure through “a new phase of international activity,” with Sombath’s case becoming a priority for the European Parliament at the UN Human Rights Council. Dutch Senator and EU Delegation leader Tuur Elzinga was keen to spell out that the EU’s resolve won’t bend on the missing activist. “If Lao officials think the issue of Sombath’s disappearance will go away, they are wrong,” he said. But as the 100-day milestone approaches, the long days of campaigning are beginning to take their toll on his wife. “I am very tired and discouraged of week after week with no news and no leads, but what choice do I have but to keep trying and persevering and try every lead and every means to find Sombath?” she says.